84 per cent of respondents said the overall state of the Great Barrier reef was declining. A NEW report has found Australians' concern about the state of the country's environment is rising, with protecting the Great Barrier Reef the top concern. The Backyard Barometer shows we're concerned about our forests, beaches, oceans and wildlife, and overwhelmingly support more action to protect natural habitats. "It has been encouraging to see such a strong sense of ownership among Australians when it comes to their 'big backyard' with issues such as the Great Barrier Reef, climate change, plastic pollution and tree clearing already front of mind," Dermot O'Gorman, ceo of WWF Australia said. 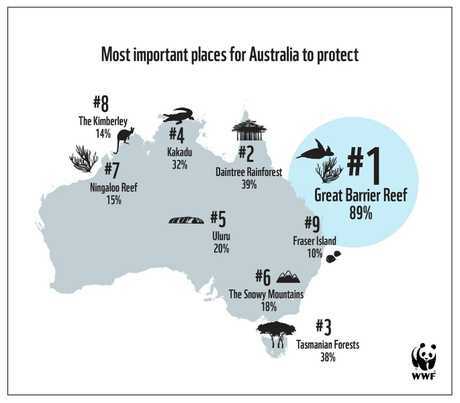 Protecting the Great Barrier Reef is the top issue for Australians, with 94 per cent of respondents saying its protection is "important". 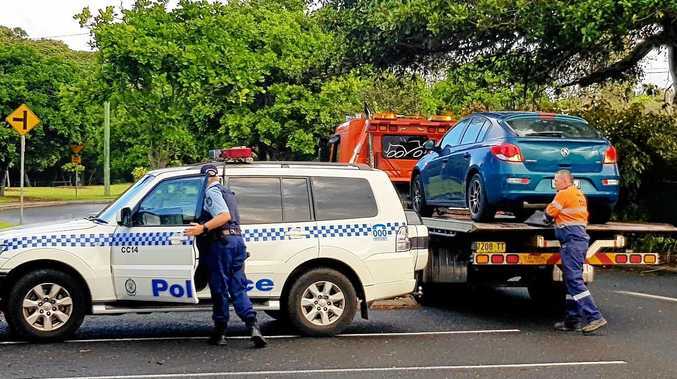 However, 84 per cent said the overall state of the Reef was "declining" or "getting worse" compared to 10 years ago. 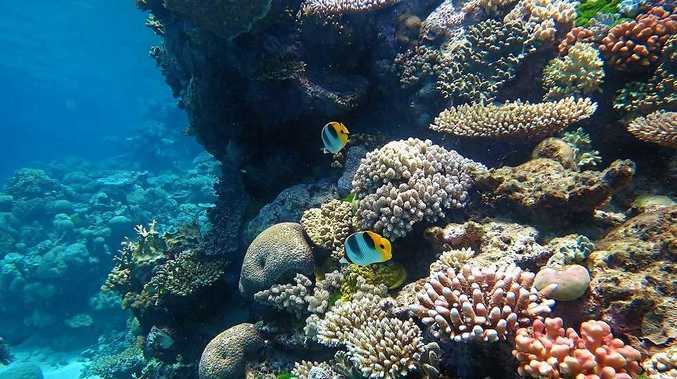 Almost half of respondents (44 per cent) said the Reef was in "terminal decline", with cloral bleaching and climate change seen as the top two threats. Protecting Australia's endangered animals, forests and trees ranked second, with 93 per cent saying their protection is important. According to the report, Australian's most want to see koalas protected, followed by whales and bilbies. The report confirmed spending time in the "great outdoors" was part of the Australian way of life. In the past two years, three out of four Australians have visited a national part or nature reserve. But 82 per cent said they were concerned the younger generation would grow up with less access to nature and wildlife. 89 per cent of respondents agreed there should be investment in restoring the environment, and 81 per cent said we should grow more trees than we cut down. The report found recycling and composting has increased, with 86 per cent of respondents saying they regularly recycle or compost. "Australians aren't just thinking about the environment, they are taking matters into their own hands by recycling and composting," Mr O'Gorman said. "Looking ahead, switching to renewable energy and installing solar are the top two environmental actions Australians are likely to take in the near future." However one Queensland council has banned glass from recycling bins in a bid to cut contamination rates. Ipswich City Council's recycling program will only accept four categories of material; paper, cardboard, aluminium and plastic containers. It comes after the council had stopped recycling altogether following China's decision to restrict the salvageable contents it would accept.